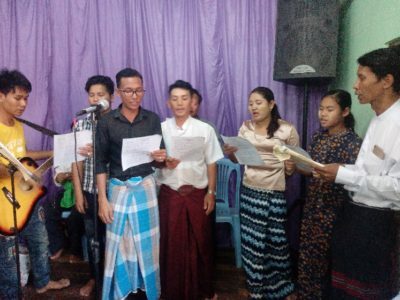 Pastor Timothy, leader of the Advent Christian Church of Myanmar organisation, one of the members of the Advent Christian Conference of Myanmar, has reported that he has been busy with leadership meetings in recent days. “Well” is probably an understatement – he had invited 140 people and 145 attended!! 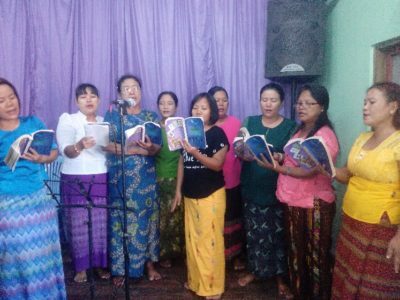 Praise the Lord for these brothers and sisters who have a burden to share the Gospel with their fellow Myanmar citizens! 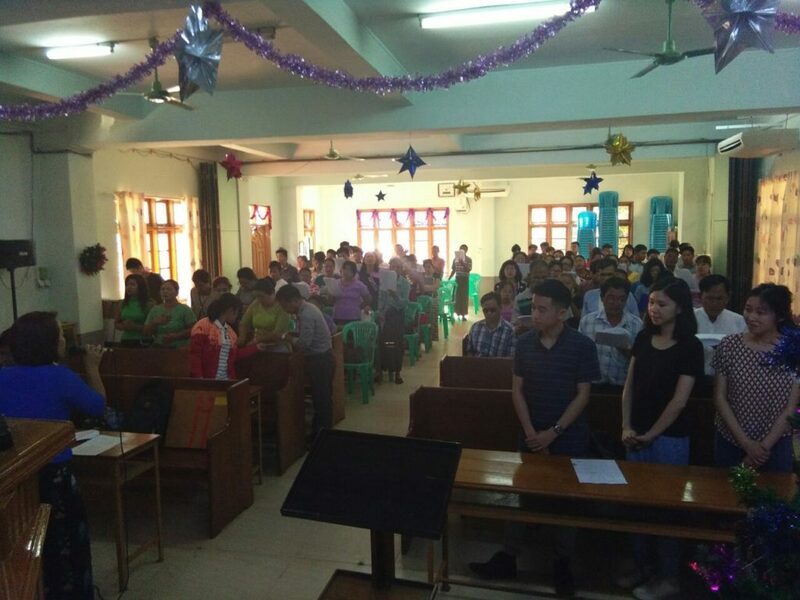 Then on Saturday 1 December, the leaders, workers and their families from the Advent Christian Church of Myanmar’s ministries in the Yangon area gathered together at the church of one of his church planters Rev. Kei Sum (pictured below right), for what was dubbed a “Sweet December service”. What a wonderful “excuse” to gather and fellowship together and worship their Lord!! Pastor Timothy recently visited the capital of the country Naypyidaw, which is a purpose-built city which replaced Yangon as capital in 2006, which is well to the north of Yangon seeking redress from the government for land which his family owned at Hakha in the Chin State, which had been taken by the government for a university project. His mission was successful, as the government allocated him a large area of land to replace that which was taken, but it needs to be registered and fenced before development can commence. 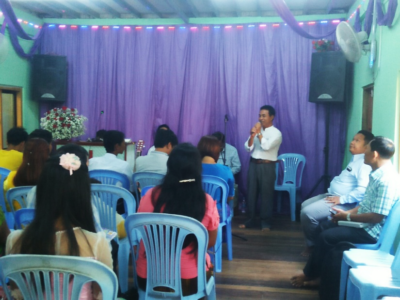 The cost of registration is 540,000 kyats (about NZ$500) and the fencing cost is 750,000 kyats (about NZ$700) and he asks us to pray that the Lord will provide for these costs so that he can develop the land. 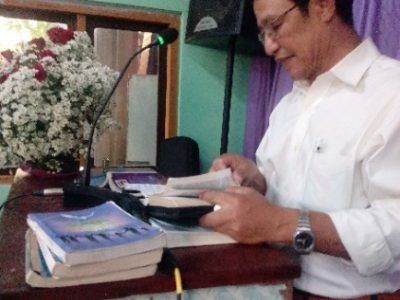 He intends to use the land for an orphanage, a Christian school and for a farm, He believes that the farm will support the other ministries so that the complex will become self-supporting. 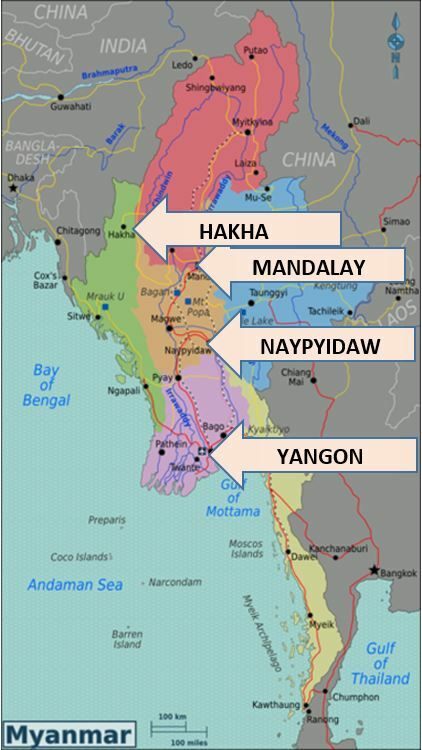 He also visited Mandalay, which is the geographical central city of the country, where he is hoping to plant a new Advent Christian church. There are currently three families comprising 15 people meeting together there. He asks us to pray that the Lord will lead and guide for a church to be established there soon.